Rick van der Linden made collages of different touristic hotspots in Prague combined in one picture. 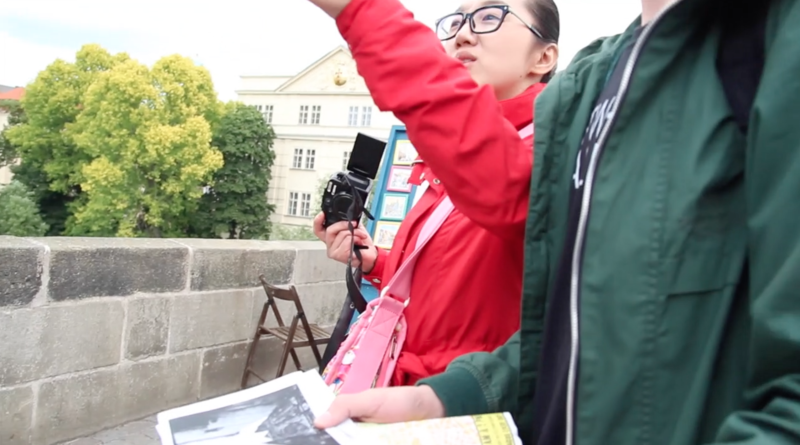 On the Charles Bridge, he asks tourists where he can find these city highlights. 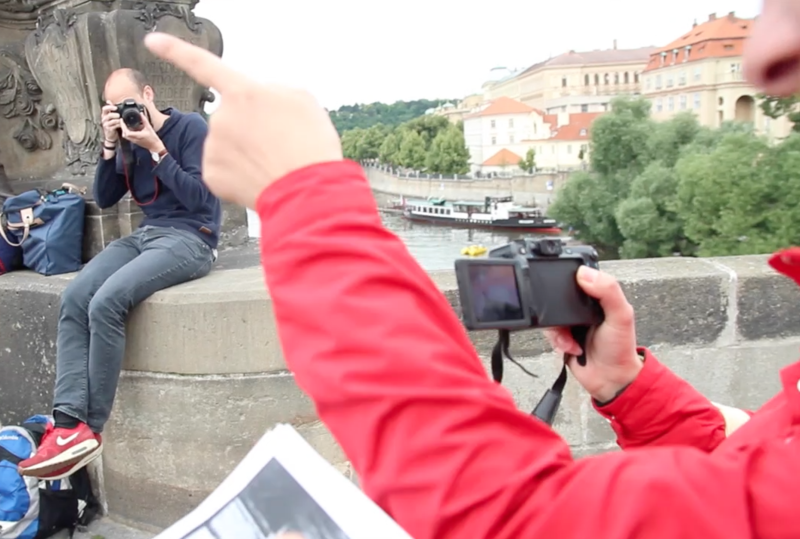 Will the tourists notice he is showing them manipulated images? 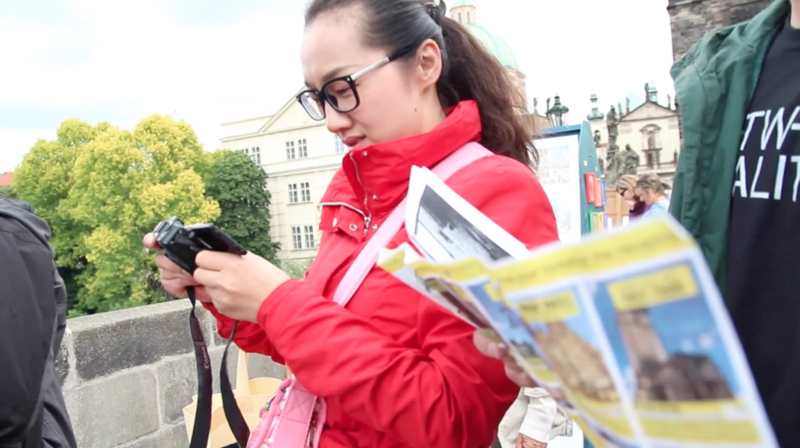 An Asian woman can only reconstruct her experience of Prague by searching for the right picture of the location on her camera.